Troubled boys that are acting out with frequent mood swings, aggressive behavior or have low self esteem may have bipolar disorder. Often times signs and symptoms of bipolar disorder is different in teen boys. Liahona Academy is an all boys residential treatment center. We help boys over come their struggles with drug or substance abuse, behavioral issues, emotional issues, mental disorder, academic problems, and family issues. For more information on how Liahona Academy can help troubled boys with bipolar disorder call us at 1-800-675-8101. Diagnosing troubled boys with bipolar disorder takes plenty of observation and is very complex. Often times if parents or family of troubled boys have bipolar disorder, boys are more likely to suffer from this disorder because of genetics. Troubled boys that struggle with bipolar disorder will have high highs and lowest of lows, they can be extremely happy or irritable. Troubled boys are more likely to express their sadness or depression with anger. Teens have a difficult time expressing their feelings, therefore parents, peers and adults like teachers must look for the symptoms of troubled boys with bipolar disorder. Bipolar disorder can often times cause troubled boys to lack motivation to do activities they once enjoyed doing such as sports, video games, and socializing. This is caused by the depression side of having bipolar disorder. Not only do troubled boys with bipolar disorder loose motivation but some times they gain or loose weight because of lack of or over eating. Sleeping behaviors can go through a drastic change in troubled boys with bipolar disorder. Troubled boys with bipolar disorder might become more sexually active, experiment with drugs and alcohol, and skip school. These are dangers that parents should watch for, as they can be detrimental to troubled boys. 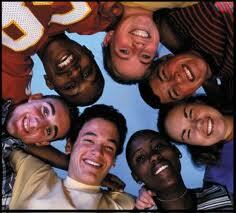 However, there is hope for parents of troubled boys with bipolar disorder. Liahona Academy provides troubled boys with a structured, safe, and caring environment for them to recover and heal. We help troubled boys with bipolar disorder find healthy ways to express their emotions along with providing a behavior modification program that teaches self control and accountability. For immediate enrollment or more information on how Liahona Academy can help your son with bipolar disorder, call us today at 1-800-675-8101.